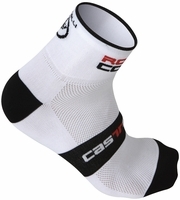 Cycling Socks | Cycling Apparel | Cycle Garb. 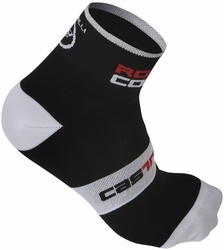 Choices of the right Biking apparel are important but taking care of you feet is really important when it comes to comfort. 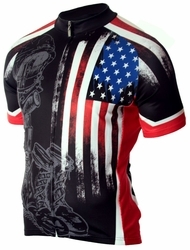 With these choices of quality comfort, feel and look these will keep you riding fresh and catching eyes while showing support of your favorite college, Army Strong or biking gear manufacturing line. 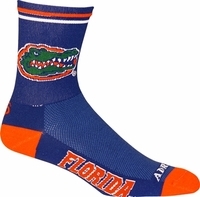 With over 50 choices of socks you can find the right color, school, type and style to serve your ride of the day. From the heavy duty for the long century rides to the college support of your scholastic pride. 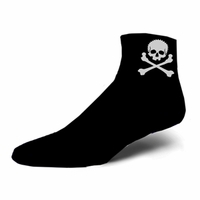 The skull and cross bones of "Jolly Roger" will show your humor as you cycle. 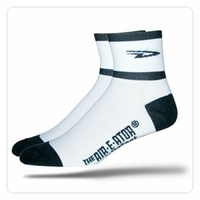 As cyclists we sometimes overlook our needs for a new pair of socks and good they make our feet feel. Nothing is worse than trying to turn over the pedals with old worn socks which do nothing to absorb shock and wear. Seems nothing is better than great feeling feet and looking great at the end of the winning sprint.